The naming of cats is a difficult matter—it isn’t just one of your holiday games! We finally have casting (except that belter Grizabella) for the Broadway revival of Andrew Lloyd Webber's Cats, which is set to begin previews on July 14 at the Neil Simon Theatre. 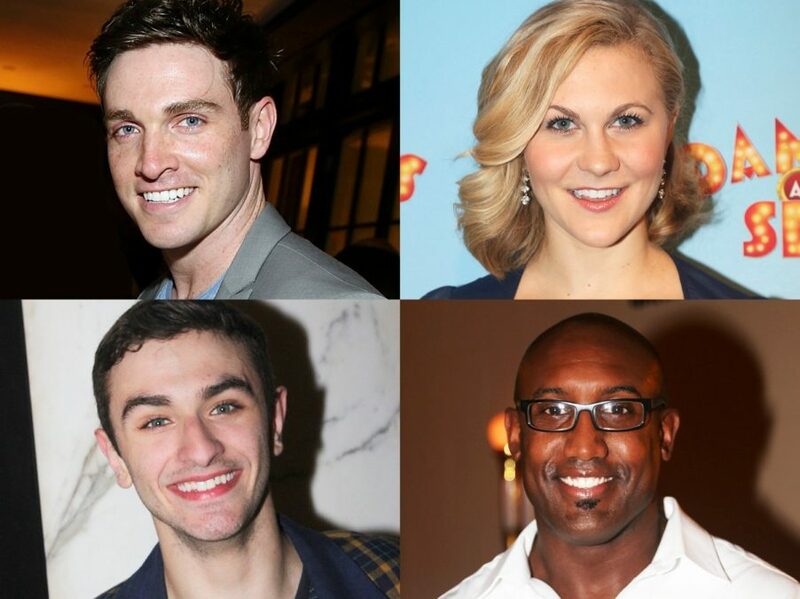 Tyler Hanes will play Rum Tum Tugger, along with fellow Great White Way alums Ricky Ubeda as Mistoffelees, Quentin Earl Darrington as Old Deuteronomy and Eloise Kropp as Jennyannydots / Gumbie in the production, which will now officially open a little earlier, on July 31, instead of August 2. Joining Hanes (On the Town), Ubeda (On the Town), Darrington (Ragtime) and Kropp (Dames at Sea) in the new generation of cats will be Giuseppe Bausilio (Aladdin) as Carbucketty, Jeremy Davis (The Last Ship) as Skimbleshanks, Kim Faure (Bullets Over Broadway) as Demeter, Sara Jean Ford (How to Succeed in Business Without Really Trying) as Jellylorum, Lili Froehlich (Broadway debut) as Electra, Daniel Gaymon (Broadway debut) as Macavity, Shonica Gooden (Hamilton) as Rumpleteazer, Christopher Gurr (All the Way) as Gus/Bustopher Jones, Andy Huntington Jones (Bullets Over Broadway) as Munkustrap, Kolton Krouse (Broadway debut) as Tumblebrutus, Jess LeProtto (On the Town) as Mungojerrie, Georgina Pazcoguin (On the Town) as Victoria, Emily Pynenburg (Gigi) as Cassandra, Arianna Rosario (Broadway debut) as Sillabub, Ahmad Simmons (Broadway debut) as Alonzo, Christine Cornish Smith (Broadway debut) as Bombalurina, Corey Snide (13) as Coricopat, Emily Tate (Broadway debut) as Tantomile and Sharrod Williams (Broadway debut) as Pouncival. Rounding out the company will be Richard Todd Adams, Aaron Albano, Callan Bergmann, Claire Camp, Francesca Granell, Jessica Hendy, Harris Milgrim, Madison Mitchell, Nathan Patrick Morgan and Megan Ort. Cats, featuring a score by Lloyd Webber and lyrics by T.S. Eliot, Trevor Nunn and Richard Stilgoe, ran for 21 years in London and 18 years on Broadway. It won seven Tony Awards in 1983, including Best Musical; this production will be the first Main Stem revival of the tuner. Based on Eliot's Old Possum's Book of Practical Cats, the musical tells the story of the Jellicle cats and each cat's individual quest to be selected as the lucky one who will ascend to "the Heaviside Layer." Lloyd Webber's School of Rock is currently playing at Cats' former Great White Way home, the Winter Garden Theatre. He is also represented on Broadway by The Phantom of the Opera. Hamilton's Andy Blankenbuehler will choreograph the revival, based on the original choreography and associate direction by Gillian Lynne, joining forces on the production with original creative team members, director Trevor Nunn, and scenic and costume designer John Napier. Check out Broadway.com's exclusive interview with Lloyd Webber at the opening night of the London revival of Cats below.